I got up this morning and realized we have an extra hour to sleep \:D/ . Can't go back to bed so I'm finishing up Album of Life (2002-2003). SIK is gorgeous from every possible angle, but I can't say the same for Kim Jung-Nan. Not that I have any discrimination against her; although they're the same age, she looks too mature for the young and fresh SIK. BTW, I'm doing it raw and in agony for not understand the dialogue. It's crazy @-) . 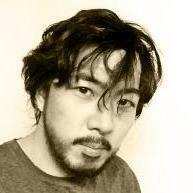 from songilkook.com and various sources. Mr. Google's translation is so confusing. 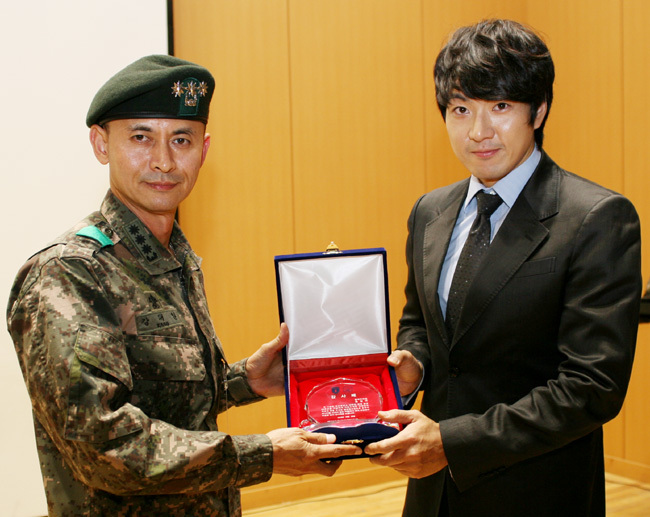 In summary, SIK received an award from Korea Defense Military to his great-grandfather Kim Jwa-Jin. If I understand correctly, SIK and Kim Jang-Hoon are promoting 2013 Cheongsanri with an athletic competition. So KJH is joining SIK again \:D/ . Hello SIKers :-h , don't be shy. Give us a hand and post the news when you see it. Song Il-Kook is narrating for MBC Special Program "Hallyu Dream"
(Daegu = Yonhap News) hanmuseon, Daegu MBC 'Visit Korea Year' to celebrate the month 3 days 23:10 the HD Feature Documentary 'Hallyu Dream' broadcast. For ways to look at the current state of the Hallyu (韩流) to become the world's young dream of the Hallyu wave to the top 'Hallyu Dream' covers. The year 1800 more than 70 countries, team support from the 'K-POP Cover Dance Festival' In particular, the winners of the idol group with the concept that you can show to be held in Gyeongju, K-POP to them with attention to the meaning jipneunda . These Further direction should be about the Hallyu craze in the opinion of many experts, including the Pyrolysis of Minister of Culture, Sports and Tourism, Trivandrum producer Mr. songseunghwan. Hallyu historical drama craze in MBC drama was as the voice of Mr. Song Il Kook of Jumong, the hero of the program is in progress. Since Coach Song is a triathlete, swim is his best strength. That's another common denominator you two have! There are three choices for anyone who wants to stay healthy... (swim, bike or run)!!! Do everything in moderation. Best Regards to Everyone! High Wave!!! Nice documentary narated by our beloved King of Sageuk! Thank you, dear Kona! Nice documentary narated by our beloved prince. am a fan for a Mr.Song Il Gook As long as I live ...you are right dear Sig Hadise to be a fan of SIK is a lifetime choice, I love to see everyday this end of your posts...thank you. Nice artwork my dear thank you. @danasibro - I agree with you. Any sport or activity that will take us away from sedentary living is good. I mention only those three sports because Coach Song is a triathlete. Additionally, they are the most common activities we do when we were kids (weather permitting). Thank you for pointing out other options. If I remember correctly, alex1999 advised us not to spend too much time in front of the computer. It is true that most of us are leading sedentary lives because of gadgets and gizmos. Texting & Chat Rooms dominate our lives these days! Bill Gates & Steve Jobs may have been instrumental in making our lives easier. However, internet brought it to a different height. We let our fingertips do the searching and there is no need to leave the house anymore! With telecommuting, it is like the world revolves around the computer instead of the other way around. It is good that Alex thought of joining a marathon! Since she got the inspiration from Coach Song, it is a good start for us to move more and sit less. Although it is always a case to case basis due to differences in lifestyle and/or physical abilities. Have a wonderful morning, afternoon or evening depending on your location. High Wave to everyone!!! This post is for Alex @alex1999. SIK said doing triathlon is a challenge both physically and mentally against your own will, and when it's over, you have the feeling of achievement and awarding that nothing can be compared with. On the other hand, I'm certain that you'll be in your best shape in years. We're proud of you, Alex. Aaah ardent, the wet, dripping SIK brings back some of my favorite scenes. His rain scene and angry bathtub scene in TOE, the soaking Muhyul coming out of the well in Kingdom of the Wind, and, my favorite, Michael emerging from the swimming pool in A Man Called God. Can't remember any in Haeshin or Jumong or Crime Squad or Kimchee Family. He was half drowned in Lobbyist, which wasn't pleasant to me. Perhaps there are other scenes that soompiers can remember. The Nov 4 QOM episode on Sunday was hilarious!!! SIK managed to literally crush the team members using his leg strength. Remember Happy Together? Considering he had to do this EIGHT times, he was incredible. He's still reserved and plays the strict coach compared to the permanent cast members, but they make it so funny to watch. Hope it gets posted somewhere for all to enjoy. @h2og, sadly, I always need a motivation to stay in shape. Like before going to Korea :\"> . I know it's not healthy but after coming home from work, I just want to lay on the couch and watch TV , and spend all my spare time on SIK's activities. Aigoo!!! Dear Dana, Here I am. Thank you for your kind words. I feel so privilege to know that you are waiting for my comment. I was busy last night. I practice running and I was exhausted after all. I'm watching Lobbyist at the moment. I remember the scene. I like that scene and would really like to be his sister. They hugged very closely. I'm so jealous.=(( =(( Thank you for your awesome artwork as always. Dear metaltiger, I love all the scenes you mentioned. But I have not seen TOE yet. My favourite scene is Heashin is when he turned his horse back to save lady Jung Hwa. He is sooooo cool. I still remember it clearly until now. I love many scenes in Jumong. I love all the scenes when he was a coward prince and played with many girls. I just could not believe that SIK can perform those scenes so well. For Crime Squad, I love the scene when he came to save Jo Min Joo and fell from the building together. So romantic, as you know there is lack of romantic scene from this drama. The first scene is CS impressed me so much. When SIK was shocked seeing his daughter got crashed by a car. He was crying so hard which made me crying so hard as well. For Muhyul, I love the scene he was crying behind the tomb (or something) that he knew that he was the prince abandoned by his father to save his life. I was crying as well. For FF, I love all his scenes with the little girl. They are so touching especially when the girl was trying to walk faster to catch him. Dear Gabi, thank you for Muhyul artwork. Really love this drama as it led me to fall for SIK. Dear ardent, thank you for Eun Jae screen shots. I have not seen it yet. I don't know if I can find DVDs of this drama. SIK is so handsome. His skin is so delicate. Dear h2og, So you do remember what I said. I'm so glad. Actually, I'm working in front of a computer all day (perhaps similar to all of us here), then we are in front of computer at home as well. We should stay away from it for some time. However, I still can't be separated from IT gadgets. I still have mobile device when going out. So I try to arrange my time for exercise. I wish we are all healthy. Doing exercise will prevent you to take a lot of medicines. Thank you again for your encouragement. Dear Kona, Thank you so much for the great clip of SIK running. I really love it. He is my true inspiration. I love his sunglasses. They suits him so well. He is so strong. What he said is so true. I have felt it myself. It is challenging. After you did it, you will feel so great. I will tell you again after the marathon event on Nov 18. Thank you for all news and information as always. High wave to everyone. Love you all. Hi Alex1999 - U definitely spoke for me. Due to global warming, we have more inclement weather just like we had last week with Hurricane Sandy. The entire city got crippled. Some experienced power outage! A few good reasons why we can't be active sometimes! It's really hard to stay outdoor especially during winter! That's the reason I really got excited with you joining the marathon! Hi h2og, yes, we've faced unusual weather and disaster around the world lately. I faced flooding situation during this time last year. We had to evacuate from our home for more than a month. Schools had to close for a few months, too. I hope everything is going back to normal for you now. Me too, I'm so excited for outdoor activities. I spend most time inside buildings. 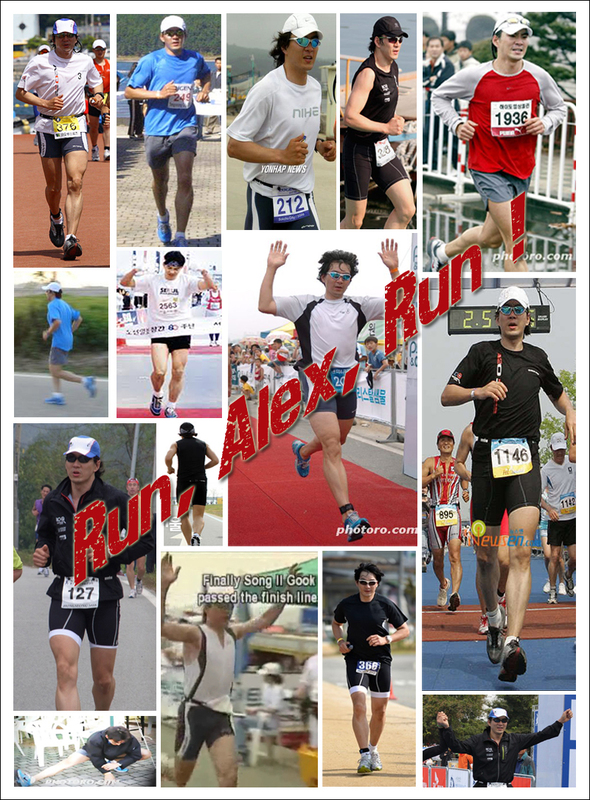 Dear my fellow SIKers, let's support Alex's marathon "Run for a Reason"
(for Song Il-Kook) by creating artworks, poems, or just simply words of encouragement. Animation by Ruri @ http://cafe.daum.net/GeNtLeSongillgook.